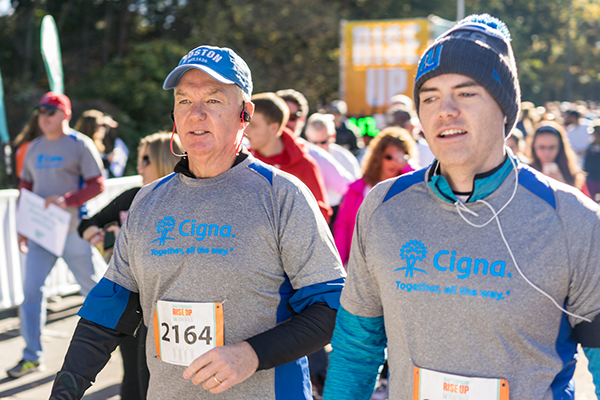 Unify your employees to support the Shatterproof Rise Up Against Addiction 5K Walk/Run and give back to the community. Creating a National Team to participate in one of our events gives your employees the opportunity to unite to shatter the stigma of addiction as well as to fundraise to help families affected by this disease. Every dollar our National Teams raise provide resources and support to those affected by substance use disorder. Create your Shatterproof Rise Up Against Addiction National Team today! Contact Kerri Seibly, Vice President of Development, at kseibly@shatterproof.org for more information. Thank you to our National Teams for bringing the disease of addiction out of the darkness and into the light.